The Stevan Sijacki Choir is pleased to welcome Chant Claire Chamber Choir to Saint Sava Serbian Orthodox Cathedral. Come hear both groups perform carols and other sacred pieces of the Christmas season and beyond, all in the beautiful Saint Sava Cathedral. A truly unique evening is in store! Refreshments will be served afterwards! Hope to see you there! 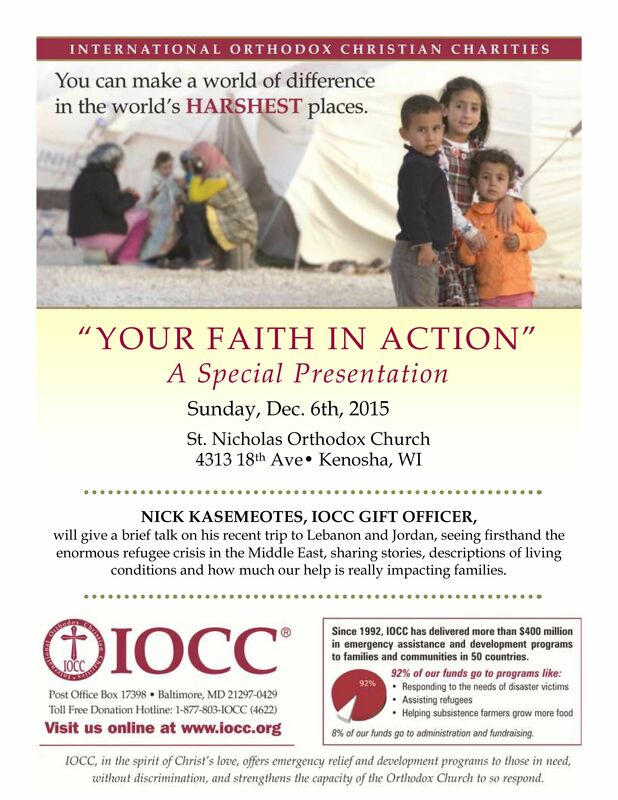 As part of St. Nicholas’ celebration of the church’s patron saint, Nick Kasemeotes, gift officer for International Orthodox Christian Charities will be giving a brief talk about IOCC and a recent trip to the Middle East. 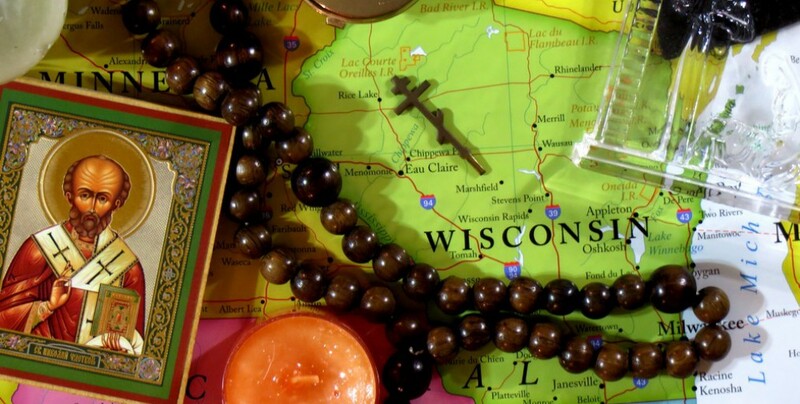 St. Sava Orthodox School is the only Orthodox school in the state of Wisconsin, and as such, can always use your prayers & support. 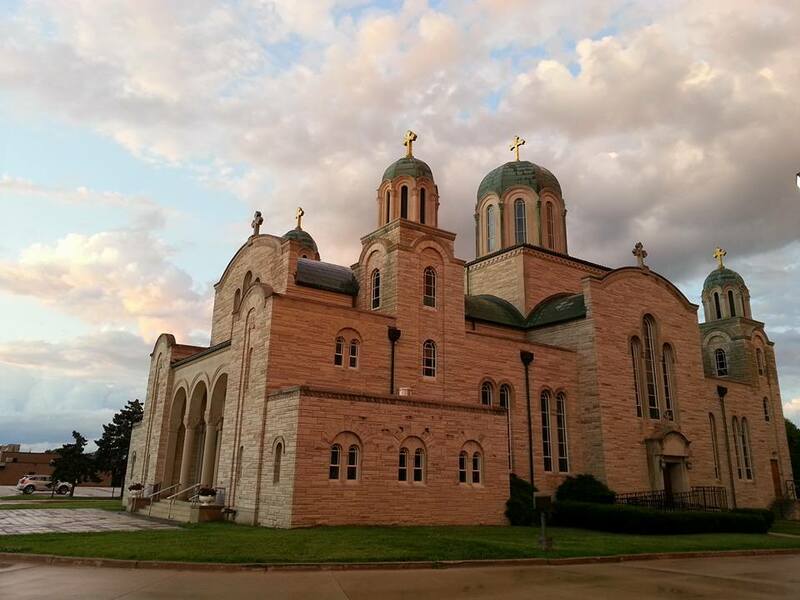 Although monetary donations are always appreciated, the following are a number of other ways that you can incorporate helping St. Sava Orthodox School into your habits. If you live in the Milwaukee area, you can purchase gift cards for hundreds of retailers through the school, and while the gift cards give you full face value, the school receives a percentage of the purchases. Please contact the school to arrange purchase. Target – If you have a Target store card (Red Card) or Target Visa, up to 1% of the total amount of purchases made at Target (and up to half a percent for Target Visa purchases made elsewhere) can be designated a school of your choice. St. Sava’s code is 124105. This designation can be made online or by calling Target Customer Service. Details: https://www-secure.target.com/redcard/tcoe/home Target has also announced that this program will be ending as of May 14, 2016, so it is important to participate while it is still available. Coca-Cola My Coke Rewards: http://www.mycokerewards.com/token/kula-donate.html My Coke Rewards is a program where one can collect Coca-Cola “My Coke Rewards” codes from caps and boxes. The points received from these can be used to get Coke gear and free stuff, but the points can also be donated to schools. To do this, register for an account at My Coke Rewards, enter in the codes as usual, and then click on the “donate” tab at the top of the screen. Once you do that, click on the “Learn More” link on the section for using Coke Rewards for schools. This should bring up another screen that lets you search for a school; entering “St. Sava Milwaukee” ought to bring up St. Sava, and from there, you can donate your points for cash rewards to the school. Come out to help a valuable resource in the Green Bay area – the House of Hope in Green Bay! St. Matthew will be hosting a sale of Fair Trade Gifts along with baked goods as well as gyros from Greek Boys, the proceeds of which will be donated to House of Hope, a shelter for young women (18-24) who are homeless, particularly if they are in need whilst pregnant or have small children. House of Hope works to take care of them & teach them to be more confident adults and independent, successful parents. 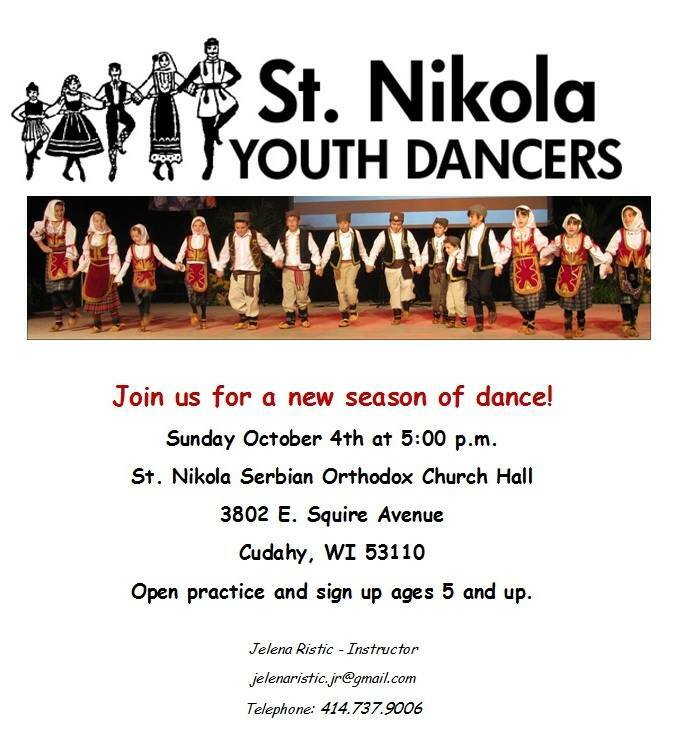 Join in for a new season of dance!